It is time for those of us involved in endurance sports to bring attention to the problem of eating disorders in endurance athletes. I hope you will help address this problem by sharing this post with every runner, triathlete, and cyclist you know. Thank you. The topic of eating disorders in endurance athletes is too often neglected. The numbers are staggering. Studies show that up to 25% of female and 10% of male endurance athletes have either a subclinical or clinical eating disorder. In a population dominated by highly motivated, highly disciplined, perfectionist personalities, we are all at risk of developing an eating disorder. Yet, it continues on without much attention, and in fact often unintentionally persuaded through publications talking about lighter being faster, ideal race weight, and on and on. Even more staggering than the frequency are the long term implications of eating disorders in endurance athletes, especially when they occur during adolescence. Eating disorders in endurance athletes tend to be different. Although plenty fall in line with the classic definitions of specific eating disorders, many do not. For example, excessive exercise is simply part of training, not a “sign” of an eating disorder. Endurance athletes must eat to train, and rarely is prolonged anorexia a problem. Athletes eat. Most often, an “eating disorder” in an endurance athlete is simply inadequate fueling during training. But, where is that line? Eating disorders cause problems in endurance athletes. Stress fractures, hormone disorders, poor bone development, malabsorption, and micronutrient deficiencies are just some of them. They also can cause significant health problems later in life, such as osteoporosis and hip fractures, which substantially increase the risk of death and major morbidity. The biggest problem with eating disorders is that many of the consequences don’t present until long after the eating disorder is corrected. The treatment is prevention. 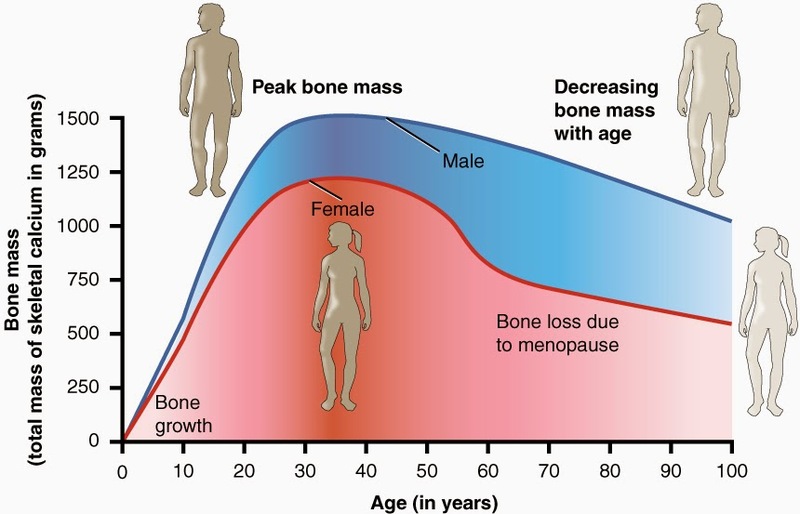 The most critical period of bone mass development is adolescent years to late teens/early twenties. During this time, your body is rapidly increasing bone mass to keep up with growth. If bone mass development is compromised, such as in cases of malnutrition due to eating disorders, peak bone mass will be reduced. The consequences are significantly increased risk for stress fractures throughout the span of the athletic years, and risk for osteoporosis later in life. Osteoporosis greatly increases the risk of fractures, physical deformity, organ compression, chronic pain, and overall morbidity and mortality. Hip fractures, one of the most well-known consequences of osteoporosis, have a 15-37% 1 year mortality rate in people over age 65. Studies show that inadequate fueling amidst excessive exercise can reduce thyroid function. This may occur by way of impacting adrenal function, and thus cortisol levels, or it may be secondary to reduced dietary fat and/or reduced body fat. Science has posed and supported all of these pathways, however they all lead to one causative factor, inadequate fueling (eating disorder) during training. Hormones are critical to our well-being, and performance. The types of hormone disorders sparked by inadequate fueling during training can cause excessive fatigue, decreased muscle recovery (by way of the HPA axis and growth hormone), mood swings, sleep problems, compromised immunity, and more. Malnutrition has far reaching consequences. For the sake of keeping this article short, let’s just address one thing that matters much to athletes, performance. Nutrients are what keep our cells going. A deficiency in intake often leads to a deficiency in function. For example, for red blood cells to replicate, iron, B12, folate, and several other micronutrients are essential. Red blood cells are destroyed at high rates in training endurance athletes. In response, your body will produce new cells. If the necessary micronutrients are not readily available, the process of new red blood cell production will be limited, which can result in fatigue, decreased performance, and anemia. The citric acid cycle (or Kreb’s cycle) is driven by micronutrients. These are just two examples of many. There are countless pathways critical to performance that rely 100% on the availability of micronutrients. And for that matter…life relies 100% on it as well. Absorption Problems and Food Sensitivities? I typically prefer to stick to writing scientific supported information. However, in my experience working with professional, elite, and recreational endurance athletes, I have noted an interesting correlation between past eating disorders and current micronutrient absorption problems and often food sensitivities. I have yet to find any research on this (if you have please share it! ), yet the correlation is so strong that I feel confident in sharing it. Eating disorders ruin careers. They have far-reaching effects that follow people long after recovery, especially athletes.The predisposition for eating disorders in endurance athletes is strong. There are many reasons endurance athletes might develop eating disorders, ranging from body image to performance. While the tendency is to attempt to address the “underlying problem” (via counseling), doing so is complicated, as it varies per individual. However, I believe that by making the long term consequences of eating disorders in endurance athletes known, we can reduce the incidence. It is working with smoking. We have reduced smoking from 42% of adults in 1965 to 19% of adults in 2011. Eating disorders in endurance athletes can have implications nearly as serious as smoking. An eating disorder in an endurance athlete is often unidentifiable. Athletes eat. By definition, an eating disorder in an athlete simply means inadequate fueling during training. There are very few circumstances when an athlete increasing training should be concurrently dieting. If this is a desired combination, it should be done under careful monitoring by a health care professional familiar with the dangers of dieting while training.